Joy Episalla is a multi-disciplinary artist working in the interstices of photography, video, and sculpture. She is interested in the mutability of still and moving images as they play out over time, and in the manipulation of spatial volume, while engaging a queer/feminist perspective. 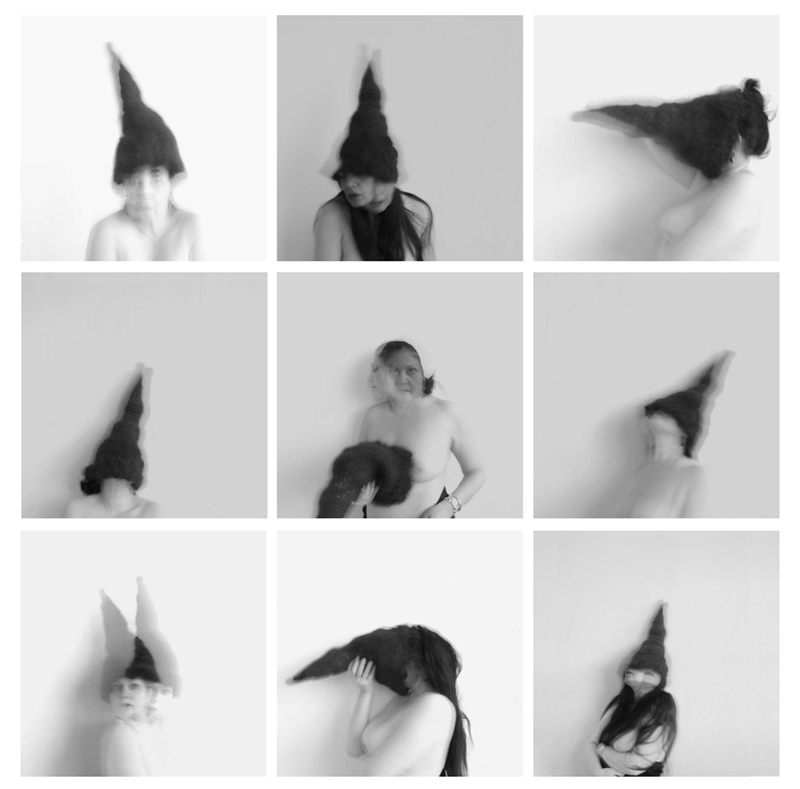 Joy Episalla, motion 5,9,21,1,2,8,17,18,6, 2012, archival giclée print, 8 x 8 inches each. Susan Silas uses photographic images, video, and occasional writing to explore the collision of personal experience with over-determining historical events. Simultaneously, she focuses on the processes of decay and transformation in a decade-long project photographing found birds. In her recent body of work, the self-portrait sessions, Silas turns the camera on the self, peering closely at self-intimacy and the aging female body. Susan Silas, the self-portrait sessions_Yaddo session, 2011, archival giclée print, 22 x 17 inches each. Image courtesy of the artist. Together, Episalla and Silas raise questions about entitlement and self-scrutiny in the field of cultural production. Their works have many parallels, but come from different subject positions: one artist is queer and one is straight. This fact is not explanatory, per se, but adds a level of complexity to the interweaving relationships between their images, the meanings of the images, and their reception. The Oxford English Dictionary defines investigate: to examine (matter) systematically or in detail. In Episalla’s work the fugitive quality of the images make visible the fleetingness of time and suggest that the self is mutable through time. Literally, her work is an investigation into the transformation of matter—an activist and deeply optimistic stance. The images question not only how time is represented but try to imagine what might exist before the onslaught of interference from outside sources. 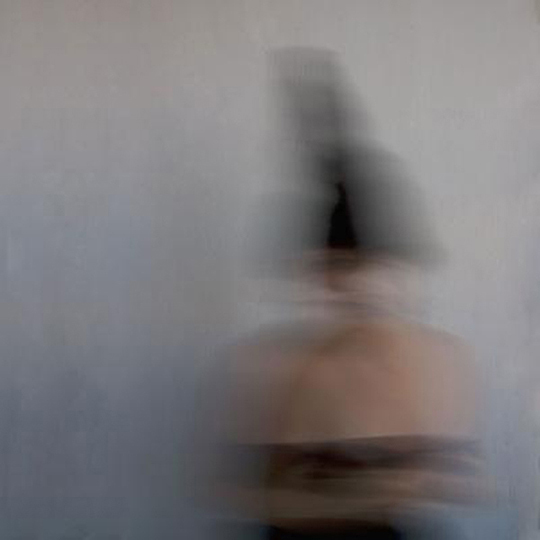 Joy Episalla, blur 1, 2012, archival giclée print, 22 x 22 x 1/2 inches. Image courtesy of the artist. 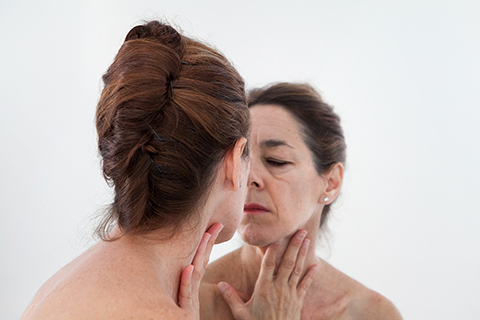 Susan Silas’ images literally hold a mirror to the self, simultaneously showing us the self as lived and the self that is reflected to oneself and others, emphasizing the divide between interiority and what is seen from without, the complex relay between outward appearances and the two selves (conscious and unconscious) that inhabit the body. Susan Silas, the self-portrait sessions_Yaddo session, 2011, archival giclée print, 30 x 46 inches. Image courtesy of the artist. What does it mean to perform for the self and then share that self-image with others? If there’s no one else in the room can “a series of acts done at an appointed time” still be considered a performance and who is the audience? To perform is an act of agency. Thus performing for the self can be seen as an act of heightened agency; a way of looking at the self with the potential to generate an image that embodies a self that is not dictated by the assumptions made by others. 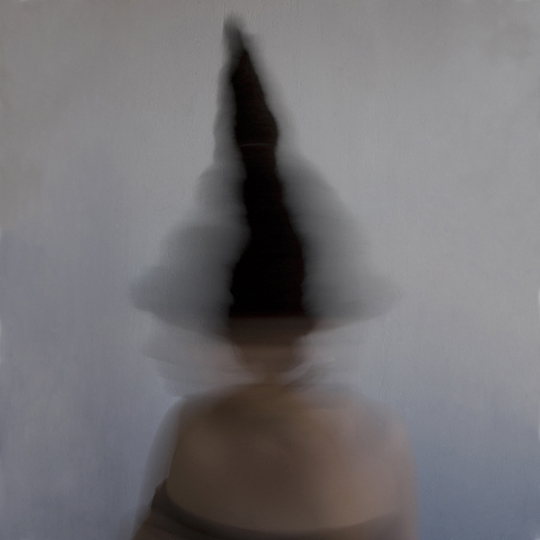 Joy Episalla, blur 2, 2012, archival giclée print, 22 x 22 x 1/2 inches. Image courtesy of the artist. 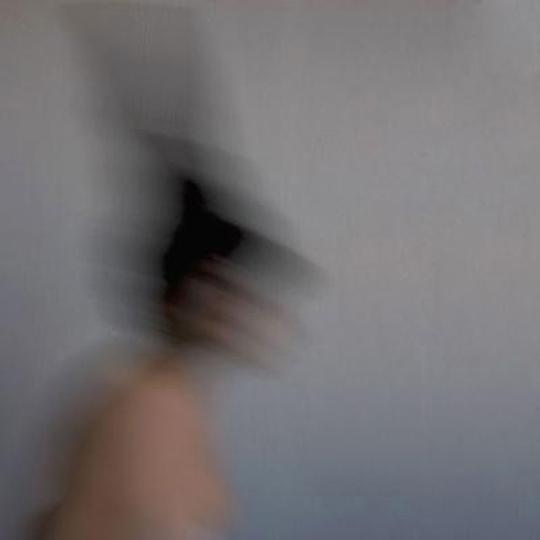 Joy Episalla, blur 3, 2012, archival giclée print, 22 x 22 x 1/2 inches. Image courtesy of the artist. Susan Silas, the self-portrait sessions _Yaddo session, 2011, archival giclée print, 30 x 46 inches. Image courtesy of the artist. Susan Silas, the self-portrait sessions _ Yaddo session, 2011, archival giclée print, 30 x 46 inches. Image courtesy of the artist. Both artists’ works include video as well as still photography. Episalla’s trans, is a stop-motion animation composed of 400 images. This video of black and white portraits meld, abstract and, transform themselves in succession to the slow motion sound of a bird’s wings in flight. Joy Episalla, trans, 2012, video, 5 minute loop, dimensions variable. Courtesy of the artist. In contrast to this additive process, Silas’ HD color video, the self-portrait sessions_Yaddo session, is a combination of slowing and subtracting. In this video the artist poses in real time, moving very slowly, and creating a Butoh dance with her own reflection. Periodically during filming the shutter is fired and a still image is subtracted from the video creating cuts in the final video. Slowed further in post-production the image barely moves and is accompanied by an intermittent beat representing the firing of the shutter in the initial taping. Susan Silas, the self-portrait sessions_Yaddo session, 2011, HD video, 9:52 minutes, dimensions variable. Image courtesy of the artist. Because western culture is so over-saturated with self-absorption it is easy to dismiss a gaze turned toward the self as “navel-gazing.” Looking at the self and thinking about the construction of interiority or questioning what is granted visibility is an investigation of a different order. The fact remains, that after several decades of feminist discourse and political engagement, women making images of themselves is still an act with political ramifications. 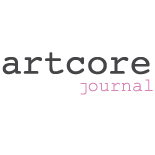 This entry was posted on July 21, 2013 by artcore journal in Volume 2, Issue 1: Women and tagged Joy Episalla, Susan Silas, Yaddo.